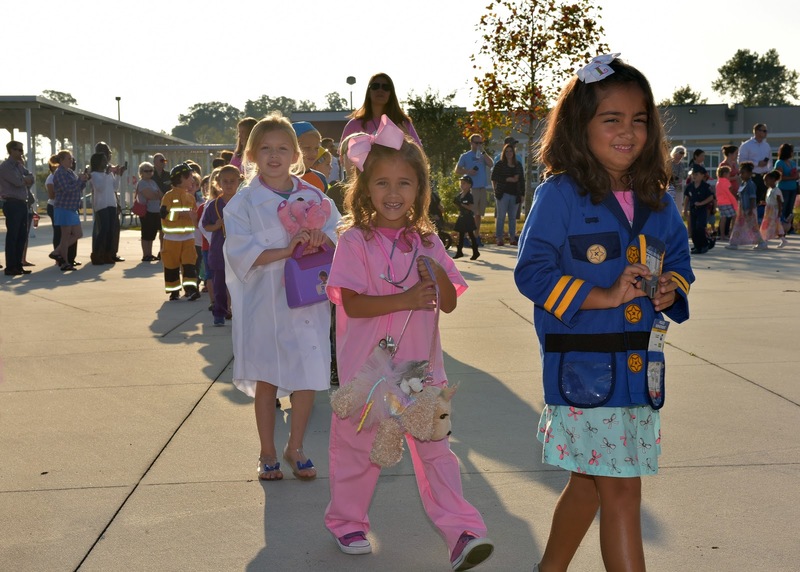 On Friday, the day before Halloween, the Kindergartners all came to school dressed as community helpers. Paige went as a veterinarian. Andrea got Paige a set of pink scrubs, a pink stethoscope, and Paige brought a little stuffed wolf with her. The LPA mascot is a wolf, and Paige thought to bring the wolf herself. 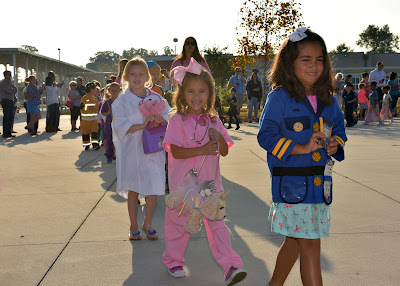 We got a cute picture of Paige in the morning before school and went to her school to see her in the parade.